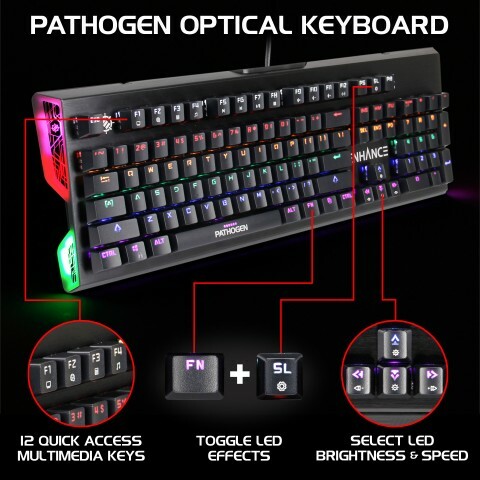 Evolve your play style to subvert and overcome the competition with the Pathogen's blazing fast response times. 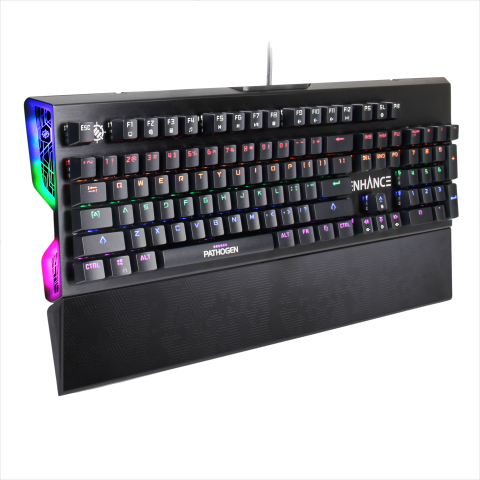 Utilizing Infrared laser sensors rather than a traditional metal contact, every keystroke responds levels of magnitude faster than a traditional mechanical keyboard. And with a set of pro-level features, like Anti-Ghosting and Nth-Key Rollover, the Pathogen will help you deliver that final killing blow and hit the top of the leader boards in no time. 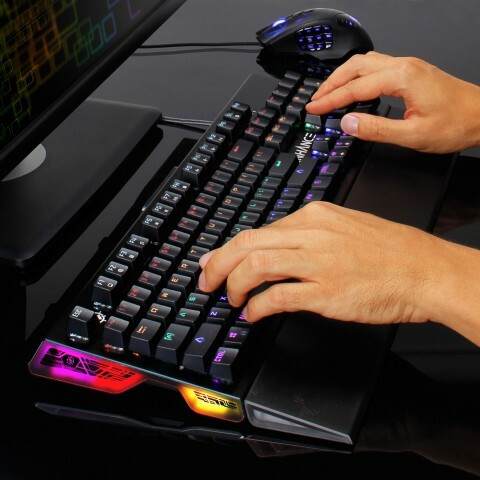 A series of infrared laser beams create the actuation trigger for every keystroke to deliver your input to the computer at the speed of light without having to bottom out every key. 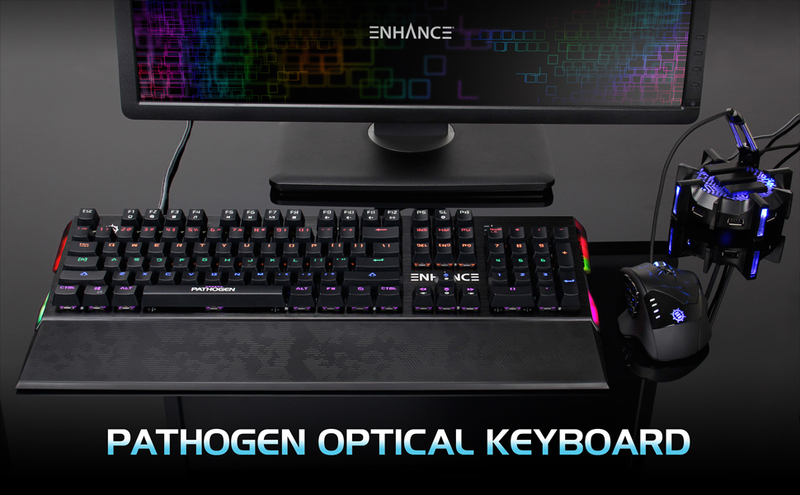 The Pathogen Keyboard includes a textured wrist rest that can be removed for a more compact form factor if you have a smaller or more cluttered desk. A keycap puller and switch remover are included to help you clean and maintain the appearance and functionality of the keyboard. 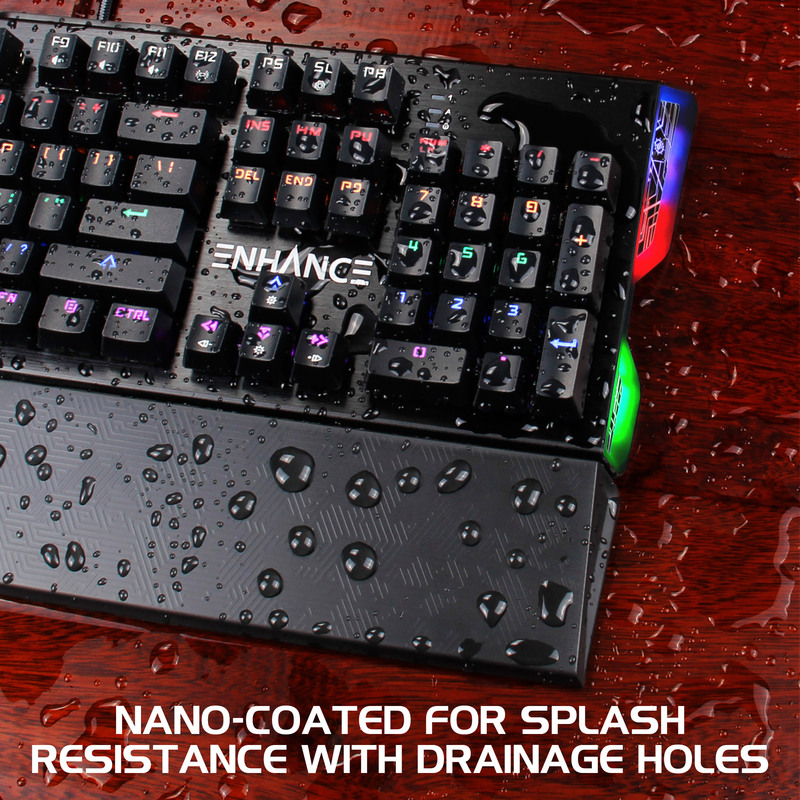 The circuit board is nano-coated and protects sensitive electrical components from direct exposure to moisture. 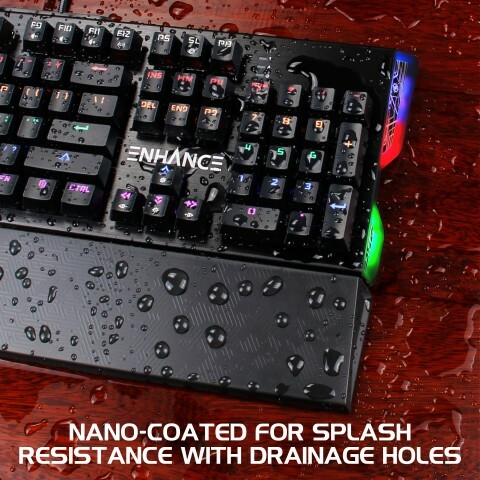 Any accumulated moisture from spilled drinks makes it's way down and out of the keyboard through a series of drainage holes, while the exterior can be wiped down easily or left to quickly evaporate from the PCB and between keys. 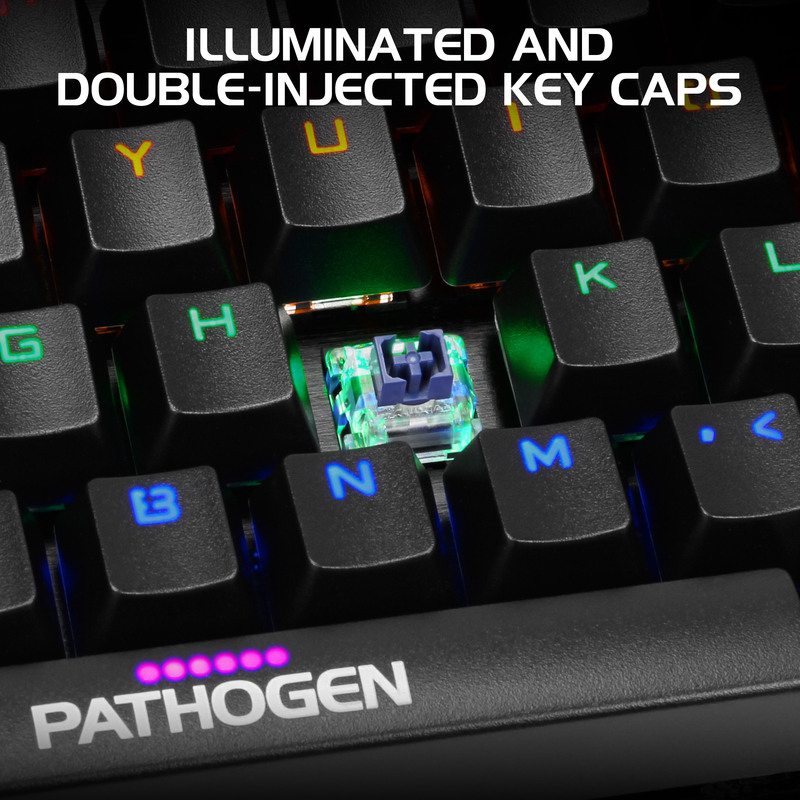 Equipped with long lasting double-shot keycaps, the Pathogen will perform and look it's best with little maintenance. 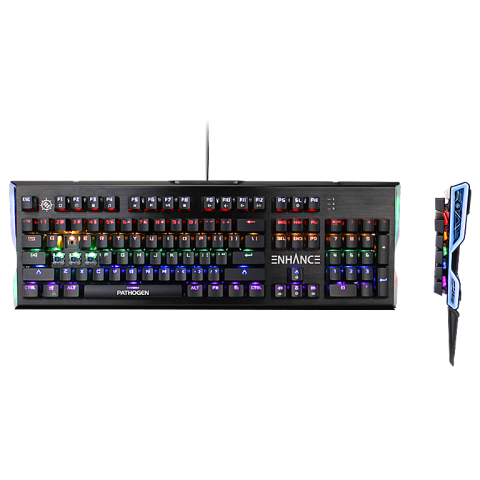 The keys are grease and wear resistant, hardened by the two-piece design of the keycaps. 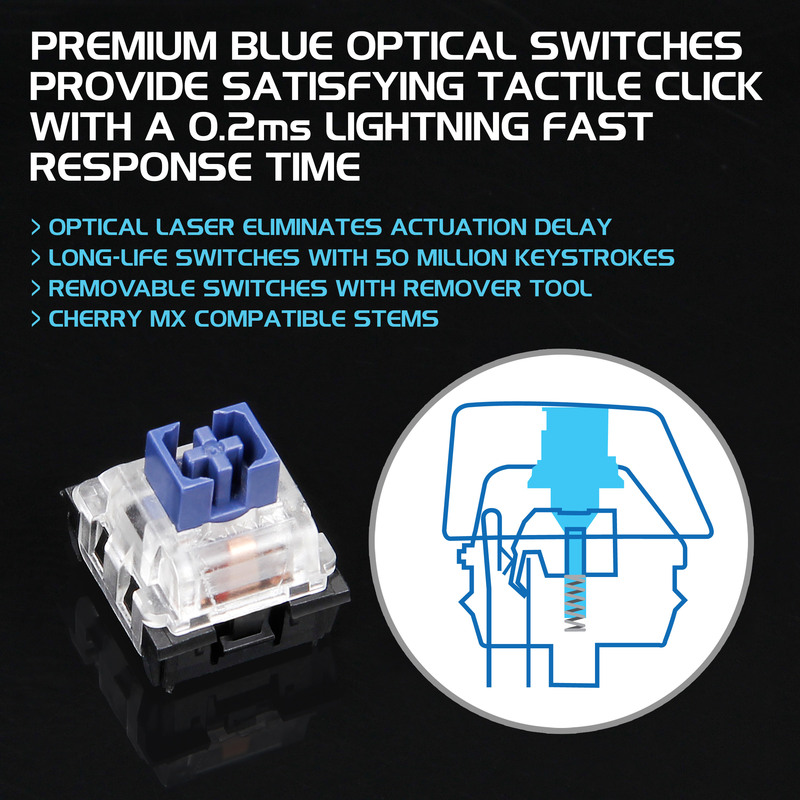 Underneath, the blue optical switches provide a satisfying audible click and actuate at a fraction of second, allowing your fingers to speed around the keyboard unhindered. 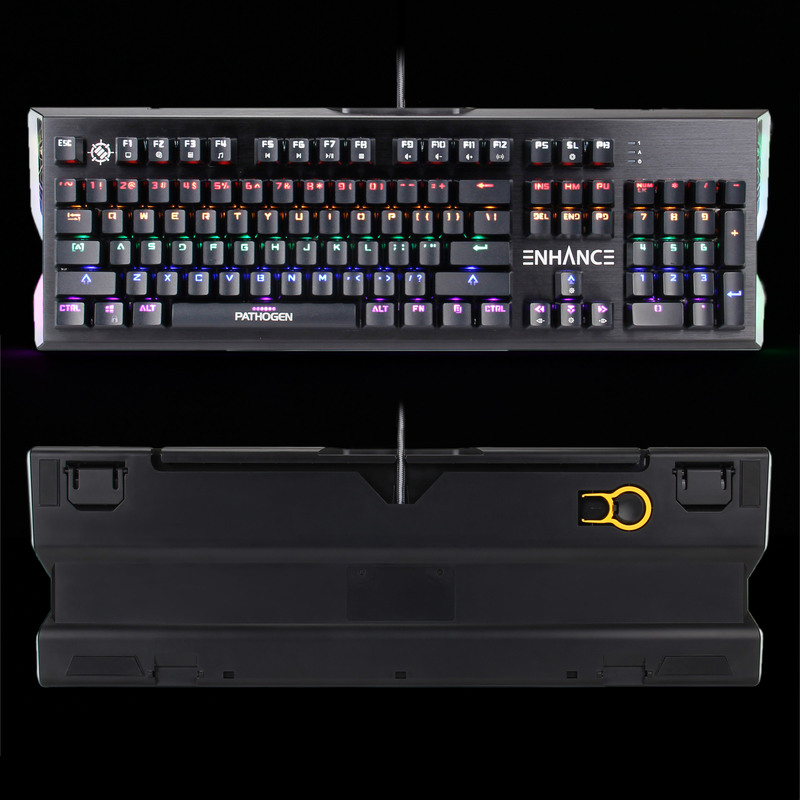 A dynamic color changing mode that glows from the side panels can be toggled on and off for additional lighting flair. 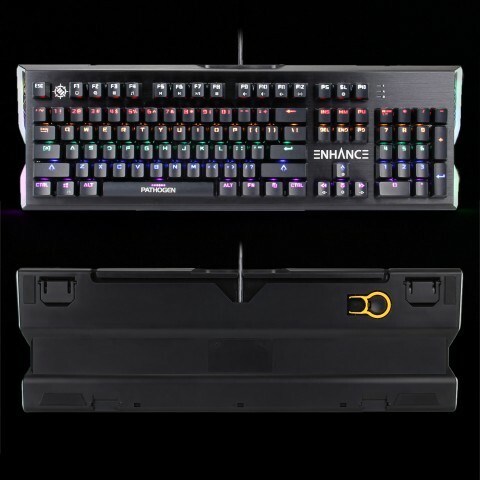 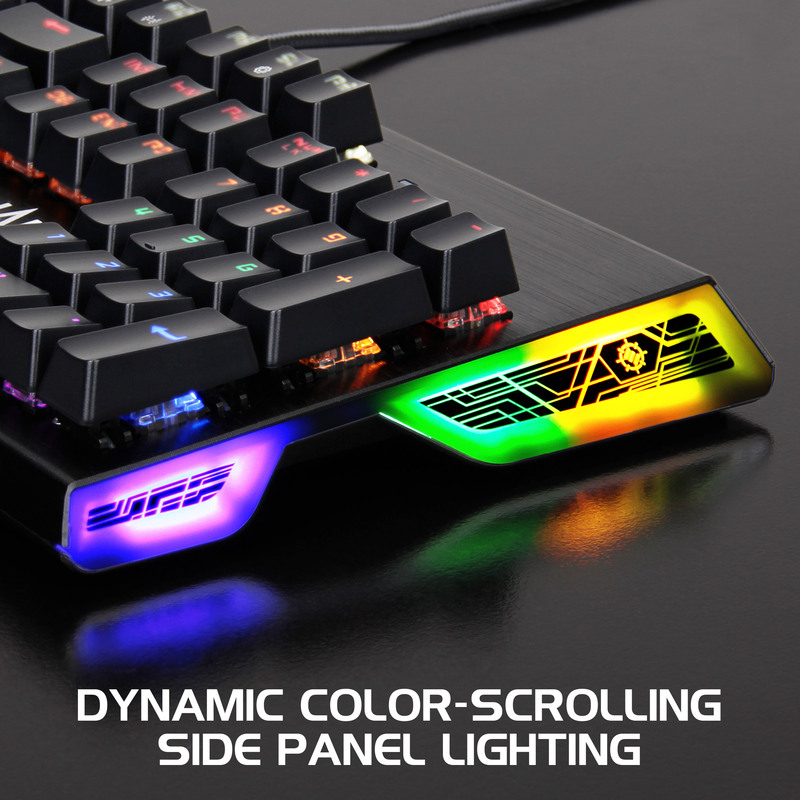 The panel cycles between an array of rainbow colors to match the existing lighting of the keyboard backlighting.